Following the announced pending Airtel Rwanda’s acquisition of Tigo Rwanda, subscribers on both networks have lingering question hanging on their head. 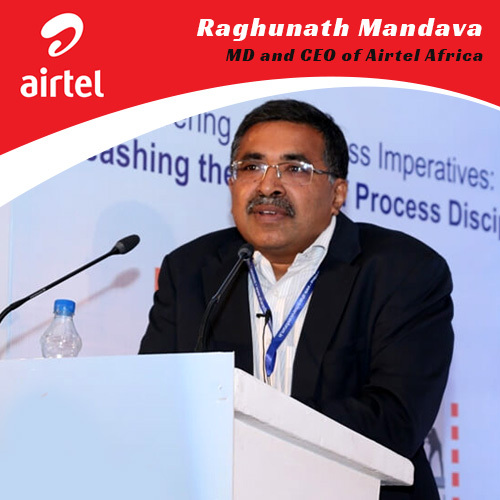 Raghunath Mandava, Managing Director and CEO of Airtel Africa spoke to Taarifa Rwanda and addressed most of the concerns out there. Below is the conversation. We both are awaiting the requisite regulatory approvals and everything remains the same for now. When the transaction receives regulatory approvals, what will be the next step? Why are the two companies combining their operations? How will this merger benefit customers? The benefits of the merger will include improved coverage and enhanced customer experience across a wider network of customer touchpoints. Our combined customers will now be part of a bigger family benefiting from competitively priced services. Our Mobile Financial Services footprint will be greatly enhanced with combined agent networks and platforms. What will happen to customer’s SIM cards? Will they have to change their phone numbers? Customers’ SIM cards and mobile numbers will not change. There will be no interruption to customers’ experience on both networks for the moment. What will happen to funds in customers Airtel Money and Tigo Cash wallets? Their funds are safe and secured and they will continue to use their Airtel Money and Tigo cash to pay for goods and services. Funds on customers’ wallets are always held in trust by our partner banks. What will be the name of the joint entity? Which number will be used by customers? Both. Our joint customers will continue to use their current SIM cards and phone numbers. Do customers need to re-register their SIM Cards? No. If they have already registered their SIM cards, there is no need to re-register. Customers will continue to enjoy all the services they currently enjoy on Airtel and Tigo. Will employees be impacted by this merger? How many? It is early in the process to comment on this. As the integration process unfolds, details on this will become available. What will happen to retailers? Where will they pick stock from now? Will distributors change? No. They will continue to take stock from their current supplier or distributor. We will inform them of any changes in the future. Which sales representative should they contact now if I need help? Their current sales representative will still be their point of contact. If this changes, we will let them know. Should retailers stop stocking SIM Cards and recharge cards of one of the companies because of the merger? No. Continue stocking Airtel and Tigo SIM cards and recharge cards and make these available to customers. 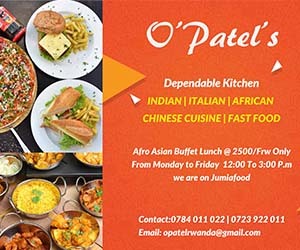 They now have the opportunity to serve a wider customer base. Do customers need a new SIM Card? No. Their current SIM card/phone number will not change. They will continue to enjoy all the services they currently enjoy. Customers are asking me what will happen to their SIM Cards/phone numbers, what should retailers tell them? Customers want to know what will happen to their Airtel Money and Tigo Cash? They have nothing to worry about. Their funds are safe and secured and they can continue to use their Airtel Money and Tigo cash to pay for goods and services. Their funds are always held in trust by our partner banks. Tell them the two companies are coming together as one. Are customers expected to take any action now? No. Except to continue enjoying your services on Airtel and Tigo. What will happen to SIM card/phone numbers? SIM card/phone number will not change. You will continue to enjoy all the services you currently have on Airtel and Tigo. What will happen to airtime and data bundles? Airtime and data bundles will not be affected. Customers will continue to enjoy all the benefits they currently enjoy. What will happen to the money in my Airtel Money and Tigo Cash wallets? Funds are safe and secured and customers can continue to use their Airtel Money and Tigo cash to pay for goods and services. Do subsribers need to buy a new SIM Card? No. Current SIM card/phone number will not change. Do customers need to re-register SIM Cards? No. If you have already registered your SIM card, you do not have to re-register. You will continue to enjoy all the services you currently have on Airtel and Tigo. What will happen to current contractual arrangement/services on Airtel or Tigo business? Are they required to take any action? Who will be their main point of contact? Current relationship managers will continue to serve them. They will remain their point of contact. If customers subscribed to a service plan, what will happen to the services now?